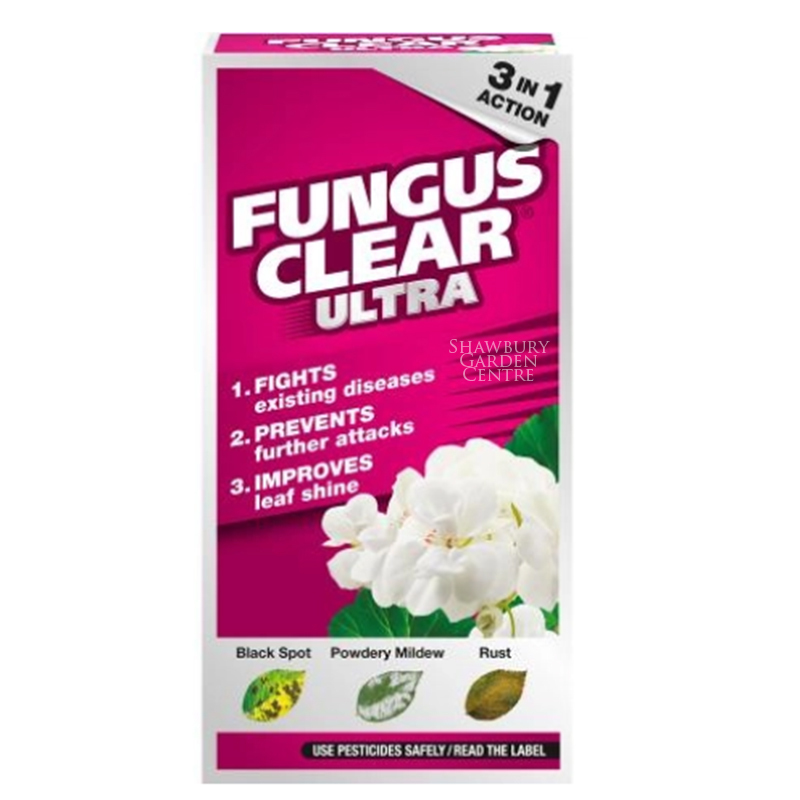 Controls, Protects and Eradicates major leaf diseases including Box Blight. 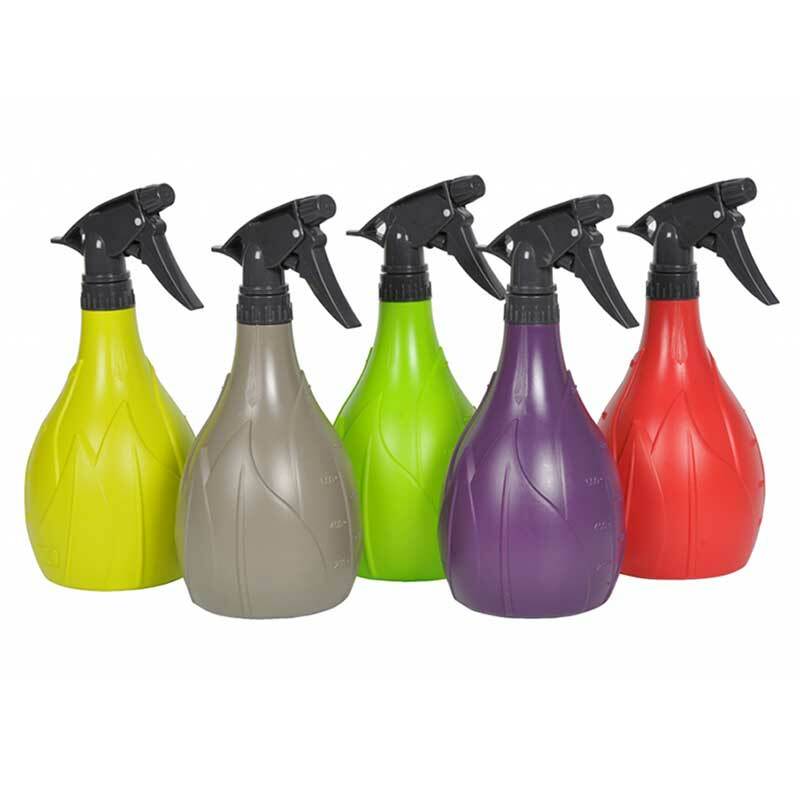 10 in stock (Available Now). 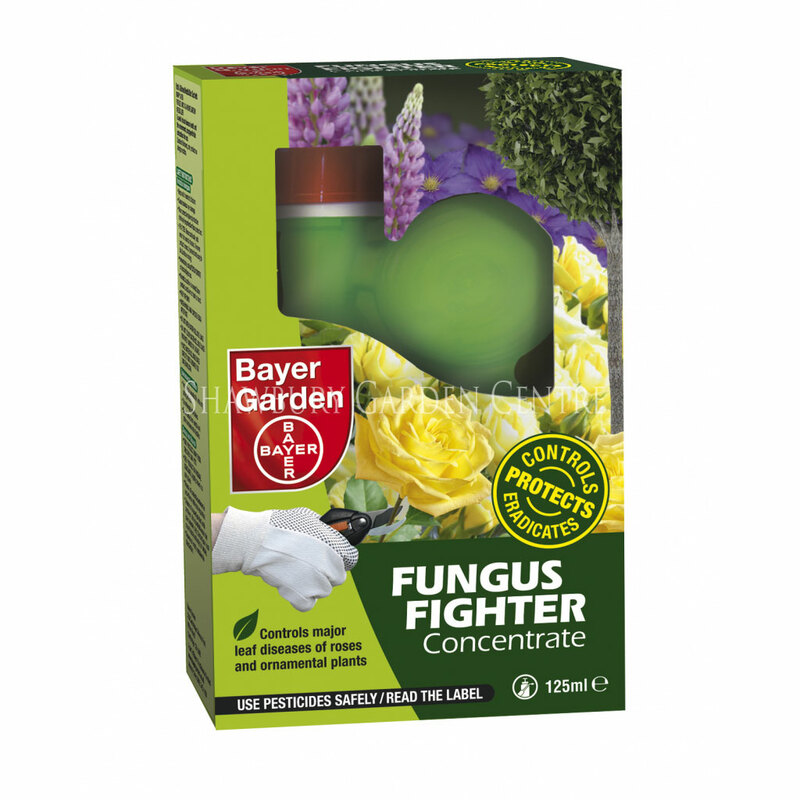 Bayer Garden Fungus Fighter is an advanced systemic fungicide, suitable for use on most ornamental plants including roses. 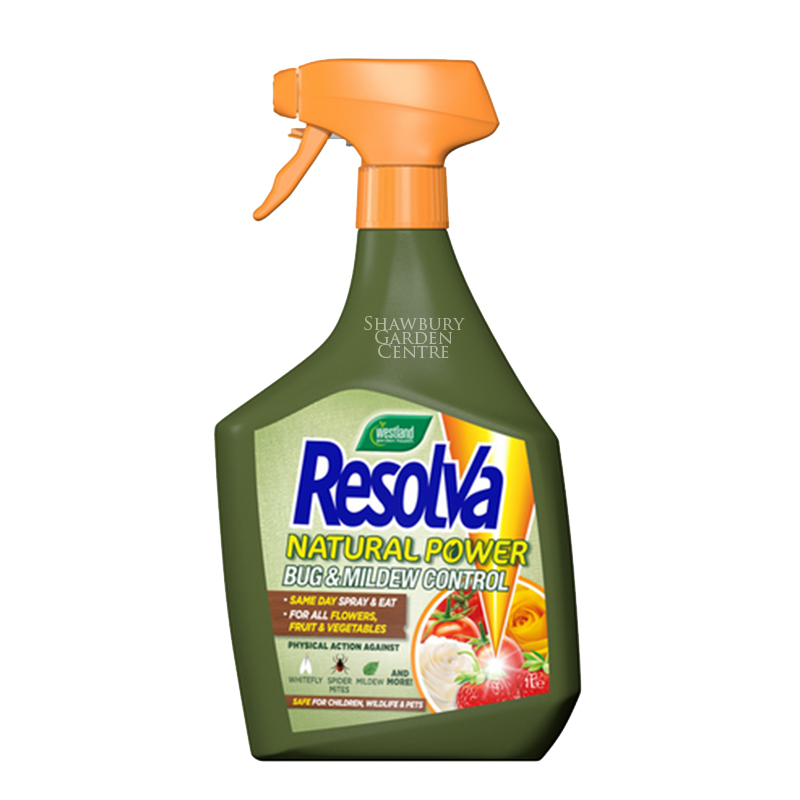 For Roses and Ornamentals - use 4ml product to 1 litre of water in a sprayer. 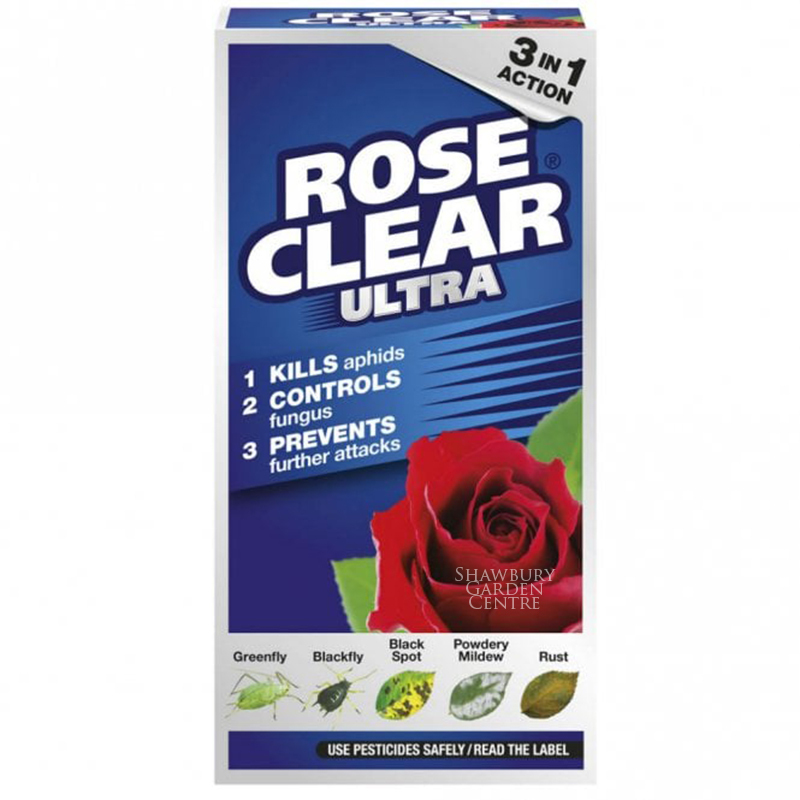 To maximise efficacy for smaller roses (less than 40cm tall) add 6ml product to 1 litre of water in a sprayer. 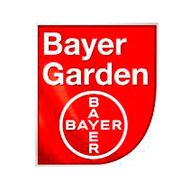 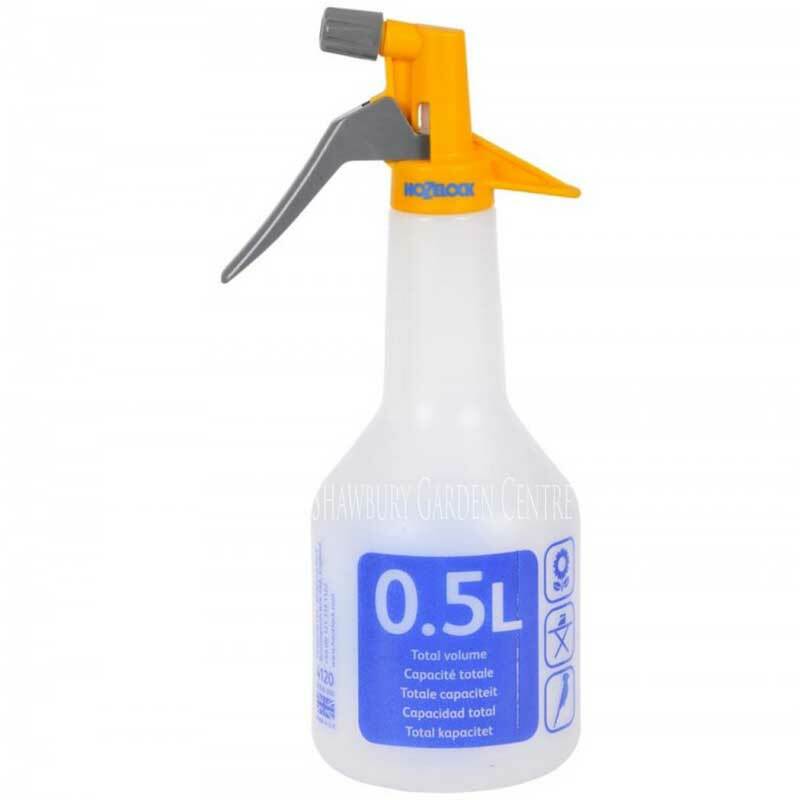 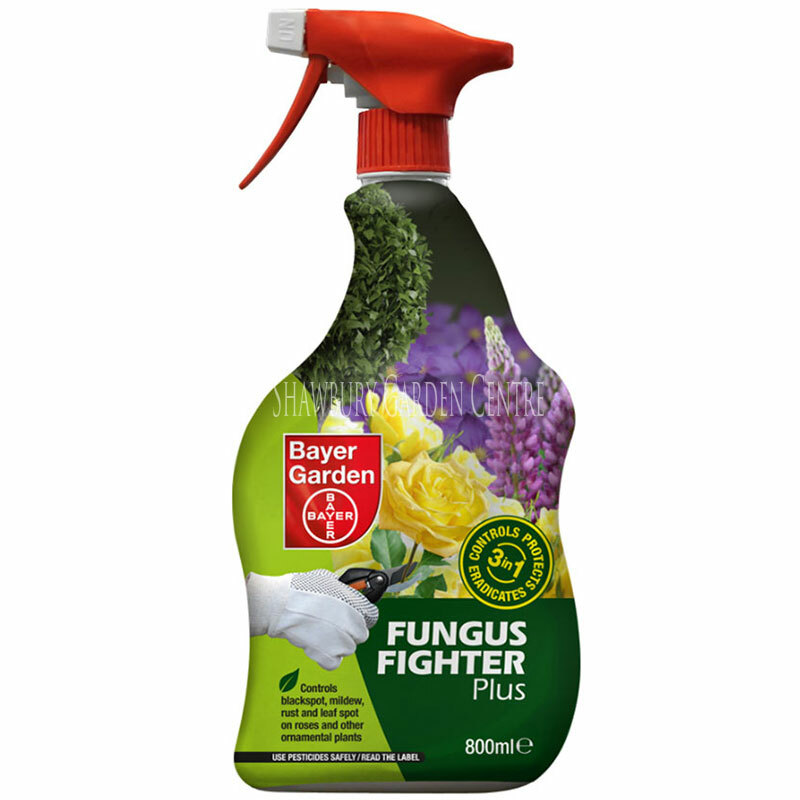 If you would like further information about Bayer Garden Fungus Fighter, please contact our garden centre at Shawbury just outside Shrewsbury in Shropshire, by calling 01939 251315 or emailing.